Atlas V rolled to the launch pad at Space Launch Complex 41 at Cape Canaveral Air Force Station on Thursday in preparation for a Friday launch attempt, but final checkouts at the pad revealed a leaky valve within the launch pad’s water suppression system activated seconds prior to ignition to dampen the shockwaves from the powerful RD-180 main engine. ULA said the valve will require repair or replacement and teams are proceeding with these actions. 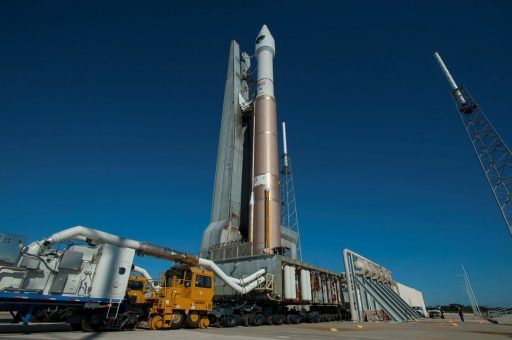 According to meteorologists, the current high-pressure setup will remain in place for Saturday’s backup launch slot and there is only a 10% chance of weather rule violations. A United Launch Alliance Atlas V rocket is standing tall atop its Florida launch pad for liftoff on Friday, aiming to become the third Atlas V to take flight this month – a new record for the Atlas V that can look back at 58 missions since its inauguration in 2002, but never managed to launch more than twice in a single calendar month. Friday’s mission will carry into orbit the eleventh and penultimate GPS Block IIF navigation satellite. Liftoff is targeting a 19-minute launch window opening at 16:17 UTC to mark the start of a three-and-a-half-hour mission aiming for an orbit over 20,000 Kilometers in altitude. 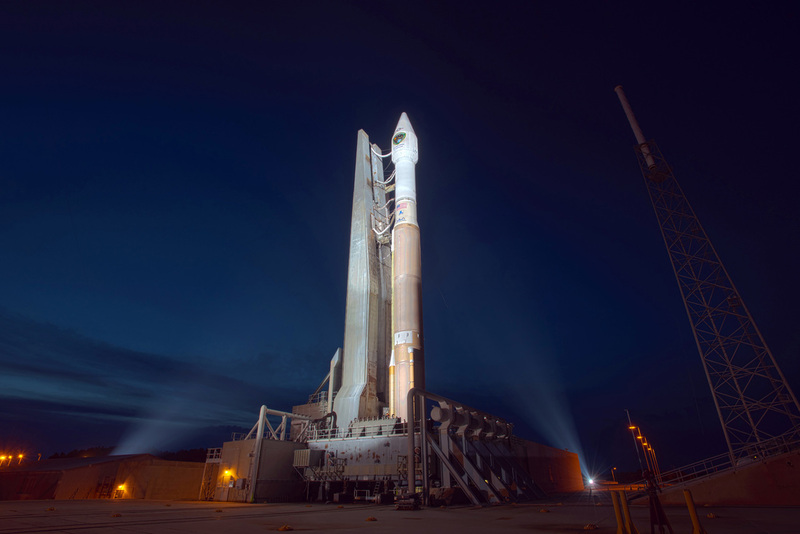 Atlas V hopes to follow up two successful launches of the Morelos-3 communications satellite taking place from SLC-41 on October 2 and the classified NROL-55 launched from the west coast on the 8th. 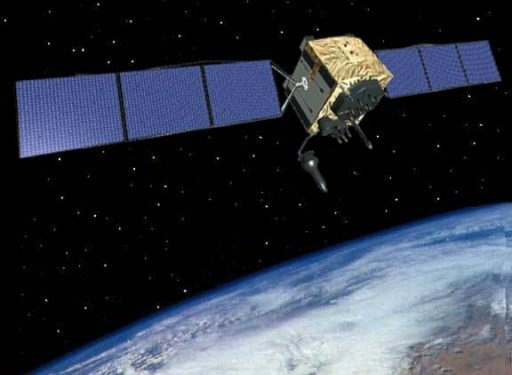 GPS IIF-11 is the eleventh of 12 Block IIF satellites to be launched as part of the Global Positioning System’s rapid replenishment initiative. Although the GPS constellation is currently fully operational with in-orbit spares, there are a number of older satellites that will need to be replaced over the coming years. As part of the IIF Program, the U.S. Air Force contracted Boeing to build a dozen identical satellites for launch atop Delta IV and Atlas V rockets. As the Block IIF satellites finish construction, they are quickly launched to reduce storage and maintenance cost on the ground and position them in orbit to take over from the older spacecraft. The GPS IIF program saw its first launch in 2010 and peaked in 2014 when four satellites were delivered to orbit. Each of the 1,630-Kilogram satellites offers a greater accuracy, more signals and improved anti-jamming as well as a longer in-orbit live than its predecessors. The final GPS IIF satellite is currently set for liftoff in February 2016 to clear the way for the next generation GPS IIIA satellites built by Lockheed Martin, 12 of which are expected to begin deployment in 2017. The IIIA satellites will continue the incremental improvement of the GPS constellation as aging satellites are replaced with newer, more capable craft. 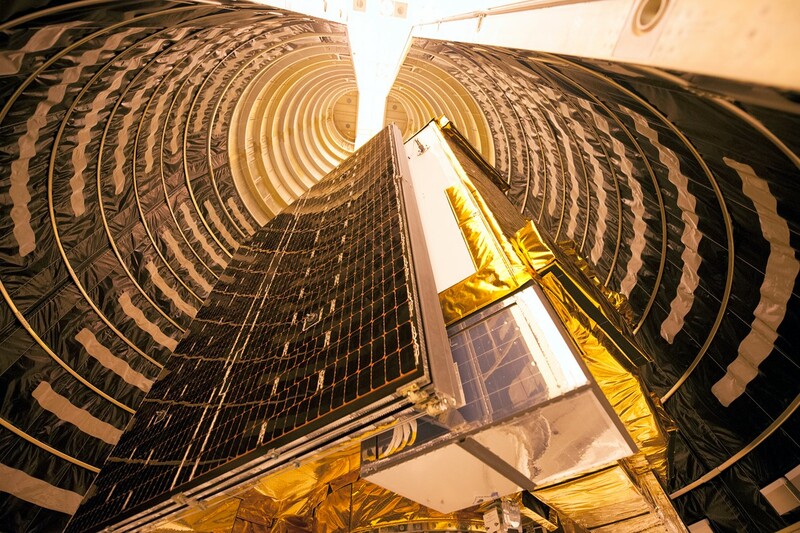 Entering orbit, the GPS IIF-11 satellite will take Slot 2 in the E-Plane of the GPS constellation to replace SVN-47 that launched back in 2003 – it will move to a newly commissioned E5 slot and continue transmissions of navigation signals. The placement of the IIF-11 satellite has been selected to optimize the coverage area of the modernized signals of the IIF series of spacecraft. Though not setting a new record for the fastest Atlas V launch campaign, the GPS IIF-11 launch comes after a turnaround of less than four weeks after the most recent Atlas V launch from SLC-41 at Cape Canaveral. Aside from efforts to turn the launch pad systems around, construction of the Crew Access Tower at SLC-41 continued in this brief interval between launches to prepare the facility for the first crewed mission of Boeing’s Starliner CST-100. Up to this point, the structure of the tower has been completed with all seven tiers stacked. 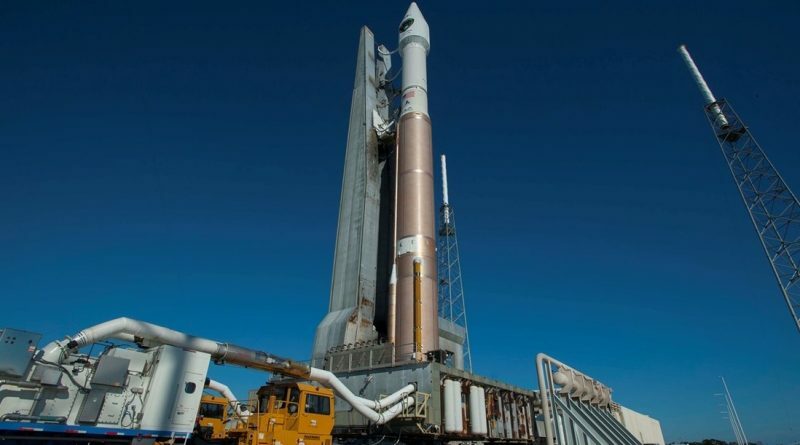 The Common Core Booster of the Atlas V was delivered to Cape Canaveral in the first week of October and took its place atop the Mobile Launch Platform on the 12th, followed by the Centaur Upper Stage, already integrated with the interstage adapter for installation on the first stage. The GPS IIF-11 satellite spent more time at the Space Coast, arriving in early June to undergo final testing, fueling and encapsulation in the protective payload fairing of the Atlas V. On October 21, the satellite found its place atop the launch vehicle, marking the start of final integrated tests leading into the Flight and Launch Readiness Reviews that cleared the mission for liftoff on Friday. 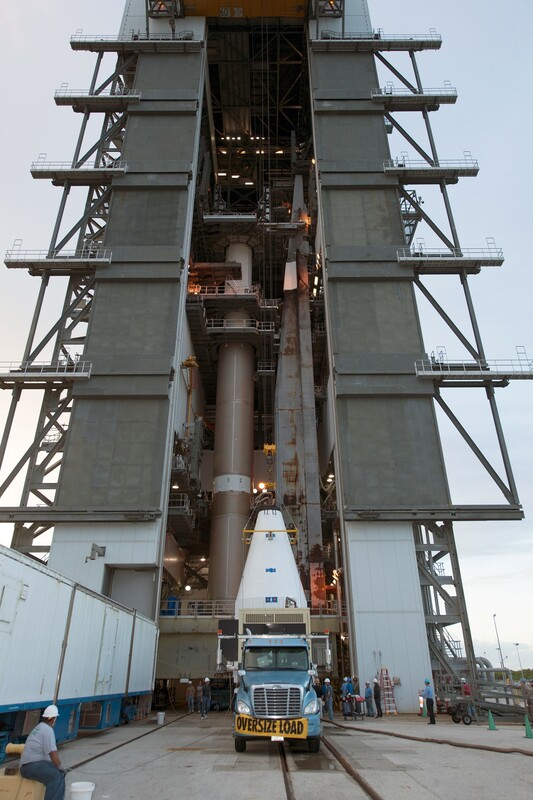 The 58-meter tall Atlas V workhorse emerged from the Vehicle Integration Facility around 10 a.m. local time on Thursday, sitting atop its Mobile Launch Platform for a 30-minute ride to the pad. Carefully centered on the pad, the MLP will be connected to ground systems for the delivery of propellants, power, gas supply and data connectivity during the final preparations for the countdown. The trackmobiles used to move the MLP will be pulled free later on and teams will begin closing out the rocket and ground systems for countdown operations, starting seven hours prior to the expected T-0 time. Weather appears to be cooperative as meteorologists predict a 90% chance of favorable conditions during Friday’s window with a minimal threat of showers during the countdown. Though skies are expected to be cloudy, there is only a very slight chance of thick clouds violating the launch commit criteria. In the event of a 24-hour launch delay, SLC-41 remains under the influence of a high-pressure area with cumulus clouds presenting a 10% chance of weather rule violations. 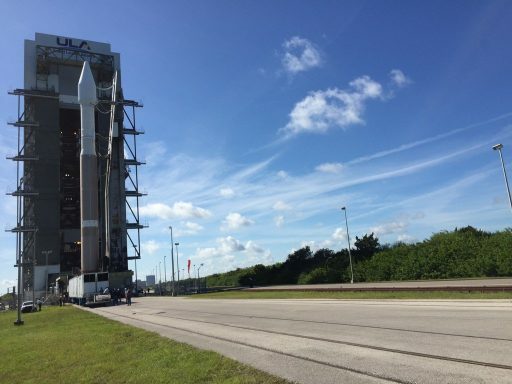 Ahead of the countdown, technicians will already be busy at the pad, completing final hands-on work and closing out the Atlas V Integration Facility, pad facilities and the Atlas V launcher. The first step completed at T-6 Hours 20 Minutes is the activation of the Atlas V rocket. The Atlas V 401 is the most basic and most-flown version of the Atlas V rocket. It uses the Common Core Booster as first stage with the trusted Centaur serving as upper stage. The vehicle stands 58.3 meters tall, is 3.81 meters in diameter and weighs 334,500 Kilograms at liftoff. No solid rocket motors are employed on this version of Atlas V. Atlas V 401 is topped by the short version of the 4-meter fairing. While that is in progress, the Launch Team puts the Atlas V through a series of communication checks on its S- and C-Band Systems. Flight Termination System testing is also completed and the Nitrogen Purge flow on the vehicle is initiated. L-4 Hour commanding is performed by teams and by L-3 hours, the launch pad is cleared by all personnel. At T-2 Hours, the countdown enters a 30-minute built-in hold during which teams perform the fueling pre-task briefing and the GO/No GO Poll for propellant loading. As soon as the countdown resumes at T-2 Hours, propellant loading operations start. The complex procedure to load the two stages of the rocket with cryogenics begins with the chilldown of ground support equipment, transfer lines and tanks chilldown on the Liquid Oxygen side. Liquid Oxygen starts flowing into the Centaur upper stage tanks shortly thereafter. Centaur LOX loading takes about 40 minutes as 15,700 liters of –183-degree Celsius oxidizer are filled into the upper stage. Once Centaur is into propellant loading, the large Liquid Oxygen tank of the Common Core Booster also starts fueling. LOX load on the CCB also moves through the three steps, slow-fill, fast-fill and topping. The Common Core Booster is loaded with Rocket Propellant 1 (refined Kerosene) ahead of the launch countdown. The large Common Core Booster that stands 32.46 meters tall with a diameter of 3.81m and a fuel load of 185,500 liters of LOX and 94,600 liters of RP-1. The final tank to be loaded during the countdown is the Liquid Hydrogen Tank of the upper stage that also goes through the usual steps. Centaur is loaded with a total of 48,100 liters of -253-degree Celsius LH2 fuel. The Centaur stage is 12.68 meters tall and 3.05 meters in diameter with over 200 previous missions under its belt. When clocks reach T-4 Minutes, the countdown enters its final built-in hold. This hold can be extended in case of technical issues or uncooperative weather, but the window for GPS IIF-11 is relatively short with a duration of 19 minutes. During the hold, the launch team receives a final weather briefing and performs the GO/No GO Poll for the Terminal Countdown. At T-2.7 seconds, the massive two-chamber RD-180 main engine of the Common Core Booster ignites and soars up to its full liftoff thrust of 390,250 Kilograms. Engine start-up is closely monitored by flight computers to make sure it reaches operational conditions before the launcher is committed to flight. 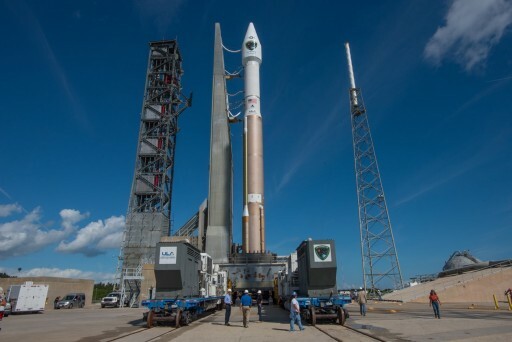 As clocks hit zero, the hold-down system releases the launcher and Atlas V blasts off. Without any Solid Rocket Boosters, the Atlas V 401 makes a relatively slow initial ascent with a Thrust to Weight Ratio of 1.16. After ascending vertically for 17 seconds, the Atlas V will begin its pitch and roll maneuver to align itself with its pre-determined flight path, departing Florida’s Space Coast to the north-east. After 78 seconds, the rocket passes Mach 1 followed by Maximum Dynamic Pressure about 12 seconds later. As the first stage approaches the 4-minute mark into the flight, it will start throttling down its RD-180 engine to maintain a maximum acceleration of 5 Gs. During first stage flight, the Centaur Upper Stage initiates Reaction Control System pressurization and boost-phase chilldown. Just after passing the four-minute mark, the first stage will shut down its RD-180 engine. At T+4:10, six seconds after shutdown, pyrotechnics will be fired to separate the Common Core Booster that then uses eight small solid rocket motors to move away from the Centaur upper stage. At T+4:20, the RL-10C engine of the Centaur Upper Stage will ignite on its first of two burns. This 12-minute and 43-second burn delivers the stack into an elliptical Parking Orbit around Earth for a coast phase. 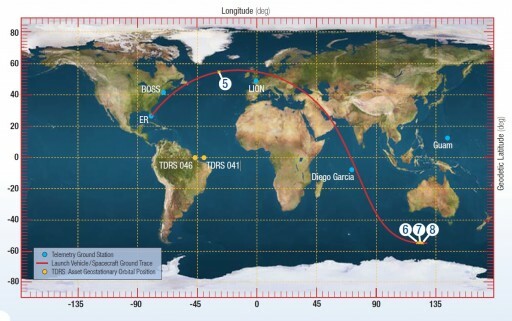 The orbit is targeting an apogee at GPS altitude so that the long coast will allow the stack to climb up to apogee for the second burn to act as circularization maneuver and inject the payload in the GPS orbit. The long coast is planned to be just over three hours in duration. During the coast phase, the stack performs a PTC Roll to evenly distribute sun exposure on the vehicle and Centaur performs regular RCS thermal conditioning firings. In its parking orbit, the stack will make a pass over Europe, the Middle East and the Indian Ocean before reaching the correct position for the burn south of Australia. The Centaur Upper Stage will begin its second burn at T+3 hours 17 minutes and 2.5 seconds. The RL-10 engine will burn for one minute and 27 seconds to raise the perigee and achieve a circular orbit at 20,459 Kilometers in altitude and an inclination of 55 degrees. Following Centaur engine cutoff, the stack will maneuver to the correct attitude to send GPS-IIF11 on its way at T+3:23:14. The Centaur upper stage completes a Collision and Contamination Avoidance maneuver and undergoes passivation to conclude its mission.